The IBC Show is Europe’s largest electronic media tradeshow – hosting over 48,000 media and entertainment professionals from over 140 countries. A conference and exhibition, IBC is held annually in Amsterdam, Netherlands. 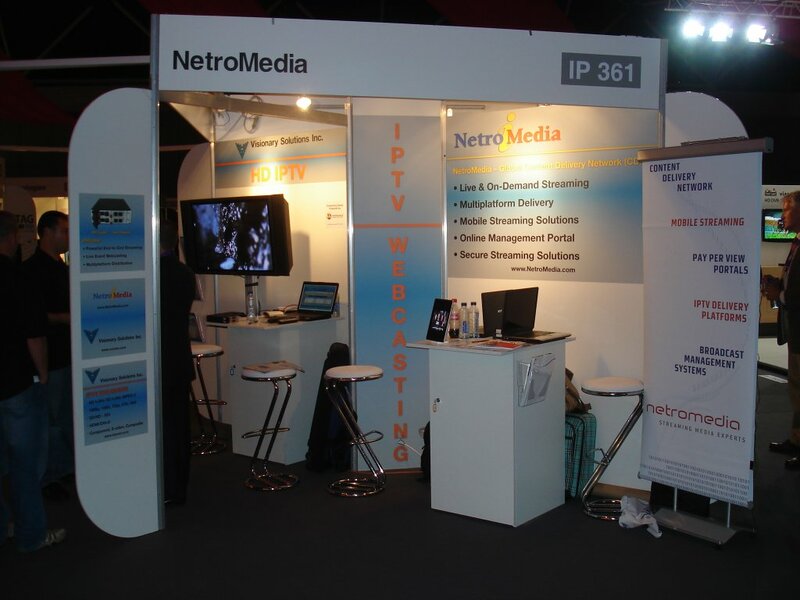 In 2010, we exhibited at the IBC show, in stand #IP361. We were highly successful in showcasing some of our unique services and products, talking about future developments and meeting with prospects and clients to discuss their individual requirements. It involves nearly no initial setup and can immediately connect to an internet-enabled network and broadcast through NetroMedia’s CDN. It features h.264 MPEG-4 AVC video (up to 4Mbps) and audio reaching 384kbps with a sample rate of up to 48KHz, allowing broadcasters to stream in stunning HD. It makes streaming on the go a possibility. VSiCaster is light and durable and can be used anywhere. IBC SESSIONS (Recordings and Visuals of Conference Sessions for IBC 2010) – IBCSessions.com …And Then NetroMedia Dashed Across Europe for More!